Please Help Us Spread The Fitness Word! Most of us, when asked, “Do you love yourself,” will quickly respond, “Of course, I do!” But do you really? You see,we go to relationships to give and share and in order to be able to do so, we must giving to ourselves everything that would we like to give to others. We must continually fill ourselves up with goodies, as I call them; love, joy, happiness, trust, honor, self-esteem, worthiness, and a BIGGIE is forgiveness! You see, if you continually try to give and share and you are not filling yourself up with these on a regular basis, you will feel very empty and drained. In order for you to take your relationship with your boyfriend, girlfriend or spouse, etc., to that next Amazing level, you will need to embrace and love who really are. By learning to love yourself unconditionally, you are then able to love them on a much deeper level. The same goes for when you can truly forgive yourself, you are then able to forgive him or her much easier. I know that a lot of us were brought up that if we said we loved ourselves or gave ourselves praise that we would be considered vain, but that is a limiting belief and one that no longer serves any purpose and more then likely never did. The amazing thing is that the more that you take these steps to love yourself unconditionally, the more your relationship will grow and so will everything else in your life. By continually doing so, you will find you will start to treat yourself more like a priority instead of an option. You will then have the energy to start treating or partner as a priority, as well as without resenting them. When we put others in front of ourselves on a regular basis, we can’t help but start to resent them. Also, you are now teaching others how to treat you in the right way. By being able to forgive yourself, you can now go to your relationship and forgive much easier and deeper. Most of us have had a hard time forgiving ourselves. Ask yourself this, “Did you do the very best at that time that you did or didn’t do something given the knowledge that you had at that time?” Most of the time the answer is YES! If however, you made a decision that you knowingly made that you knew was wrong ask yourself, “Have I learned from that and am I still doing whatever it is?” I am sure the answer to the first part of this question is Yes and the second part is No. There, now don’t you feel better? Remember this, you are absolutely Amazing and deserve the very best that life has to offer. But first you need to give to yourself everything that you can and the rest will come. Embrace and love who you really are and tap into your true Magnificence and really SHINE…the world is waiting for you! Is your mindset keeping you from growing your business? If you would like more help with this or if you are having challenges in any of your relationships, Susan would love to help. Click on Free Consultation and Susan will give a free 30 minute consultation to answer any pressing questions that you may have to give you the clarity that you may need, in order to move in the right direction. 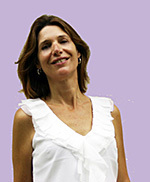 Susan Preston is a Mindset Motivator & a Relationship Mentor. Susan can empower you to Master your Mindset and Ignite your Relationships by helping you to get the clarity to take your life and business to that next Amazing level. She brings a lifetime of experience to help you create that balance in every area of your life so that you are truly living your Dreams! This entry was posted in Relationships and tagged boyfriend or girlfriend advise, how to love yourself, loving yourself, relationship advise, relationship help, self love help, Susan Preston. Bookmark the permalink. Susan I love your steps to loving yourself…this is so easy to instill in children and when we do it becomes a true and real part of their existence! Thanks for sharing these great reminders that we all need to hear! Great article! You are so right, Susan. A lot of us who are a bit ‘older’ weren’t taught to love ourselves. And to undo that which was ingrained in us does take some special attention. But, I’m learning, that special attention is very deserved. Thank you for wonderful article. Susan, I always enjoy reading your articles! This one, especially section ”Take at least 15 minutes a day to just let yourself ‘Be’ to fill yourself up with those goodies.” really hit home. I sometimes get so carried away with things, I forget to just BE! Thanks for the reminder and for all the love you share. Susan, those are wonderful steps on how to love yourself unconditionally. It does all start with loving yourself first and when you have that foundation, you can go on and love others…it has that ripple effect. Great post! Sherie recently posted..Are You Playing an Excuses Game? Thanks, Sherie! Yes, it definitely can have that ripple effect when we start by loving ourselves and then others even, more so. Absolutely! I might add, as well, that I really appreciate you touching on the importance of forgiveness…wonderful point! Love all the step that you have shared regarding loving oneself, Susan. I also believe that when you learn to love yourself, you can make others love you too. Thanks for sharing. Forgiveness is a slippery trick. I love the statement: “I did the best I could at the time for who I was then and what I knew then.” This always helps me to accept and forgive myself and others- though I may be wiser now, I cannot go back and be wiser then. But right now, I can recognize that I was different then, and the choices I made were the best that person could do….and I trust that because I know in my heart that I am always wanting to do my best. Rhonda Uretzky recently posted..What’s a Virtual Hot Yoga Challenge? Absolutely, Rhonda! Yes, forgiveness, especially in regards to oneself can be a challenge for a lot of people, but it is so vital as we can’t grow if we are still stuck in the past. Thank you for sharing your wisdom. Thank you so much for the great advice! I love your mindset help.. Anyone that is afraid to take the next step in business need to get with you! Thank you Susan for helping me get out there and be me! Flawed and Fabulous! I love you! Hey Susan, I loved reading this article. It’s one of those things where for myself, I need to hear it OVER AND OVER AND OVER again. It’s a lifelong lesson that simply can’t be underestimated. Susan, great article as always. Definitely can see how taking the time to “just be” makes such a difference. Amazing and life changing how it can change your whole day. Thanks for your wisdom and your genuineness in caring about others! Thank you Susan! Learning to love myself was a hard thing to do! I was 34 before I figured out just how important it is to love yourself and then love everyone else. It’s like the Oxygen masks on a crashing airplane. Life can be a bit chaotic, and if you spend all your time pouring love into other, you better be sure you have a full tank each day! Great advice as usual Susan! I love all the great stuff you share with us! Loving yourself is so important as you can never expect to receive love until you love yourself. Thanks for this powerful article. Susan, thank you so much for reminding us to take time out to love ourselves. I think we spend so much time loving others that we forget to remind ourselves how important and valuable we are in this world. What a great article! Thanks so much for sharing…you made my day! It took me a long time to be able to do these kinds of things. So important. Thanks Susan. It took me a long time to be able to do these kinds of things, as well Sara. I had challenges of feeling worthy of not only my own love but the love from others once upon a time. It is Amazing when we can embrace and love who we are. Thanks! This is so important. And I know from experience we do start to resent those around us when we treat ourselves as an option. Thanks, Suzanne! I too have learned from experience the same thing. Not only do others start to treat us like a priority, but it is easier to continually balance making our loved ones one as well. Beautiful article. I believe we have to love ourselves before we can love others! Carolyn Hughes recently posted..A soft place to fall. This is a great post Susan! Thank you. It is so true that loving ourself is an inside job and it needs to be that deep uncondititional kind. Once we can learn ourselves to the degree that we actually need – we can be of great service and support in this world! Moira Hutchison recently posted..Need a Lift? Try a Success Program! Great tips for learning how to love yourself Susan! We have to learn to love ourselves first, before we can love others and before others can love us. Thank you, Helena! Yes, that is so important what you wrote when you said, “…before others can love us.” I might add, if we don’t love ourselves, we may not feel that we are not worthy of being loved by someone else. Until you are comfortable (and happy!) with who you are, it really is almost impossible to nourish relationships. Great tips here, Susan! Thanks, Nisha! Yes, you are so right…until we are comfortable and happy with who we are, it is almost impossible to nourish our relationships. I appreciate you sharing your Great words of wisdom. Susan, this is such a powerful article. I love “The amazing thing is that the more that you take these steps to love yourself unconditionally, the more your relationship will grow and so will everything else in your life.” This is so true. Self love and gratitude are so important in life. Thanks! Do You Appreciate Your Loved Ones?